Milk occupies a special place in the nutrition chart because of all the health benefits it provides for the overall wellbeing. This calcium-rich drink is loaded with nutrients like protein, magnesium, phosphorus, potassium, Vitamin B2, Vitamin B12 and other minerals which makes it an outstanding addition to your diet. Stating the above facts, no wonder drinking milk is a routine for many of us since childhood, and some carry this habit to adulthood as well. But, is starting the day by gulping down a glass of milk the right way to do it? Or are there any other beneficial way of maintaining this routine habit? Let’s find out. According to Ayurveda, it is better to drink milk at the end of the day since it can help you relax and sleep better by inducing hormones in your body. Why Drinking Milk at Night Is A Good Idea? The calcium in milk boosts the serotonin levels in the body which helps fight insomnia. Also, the melatonin in it contributes to the fight and helps those who struggle with sleep disorders. Magnesium plays an important role in over 300 biochemical reactions occurring in the human body including the management of normal nerve and muscle functioning. And it’s these two processes that are important in the context of a goodnight sleep and rest. Therefore, supplying the body with the required dosage of magnesium before sleeping is not a bad idea here. A body at night recovers and heals from the daily wear and tear. Adding a pinch of turmeric powder into your milk can accelerate and update this recovery process. Turmeric possesses anti-inflammatory, antibacterial, and healing properties. Therefore, a pinch of this can dial up the power of the milk. So, you can sleep at peace knowing that the golden milk will ease that inflammation, pain, and swelling. Turmeric milk can also decrease your stress and pressure. 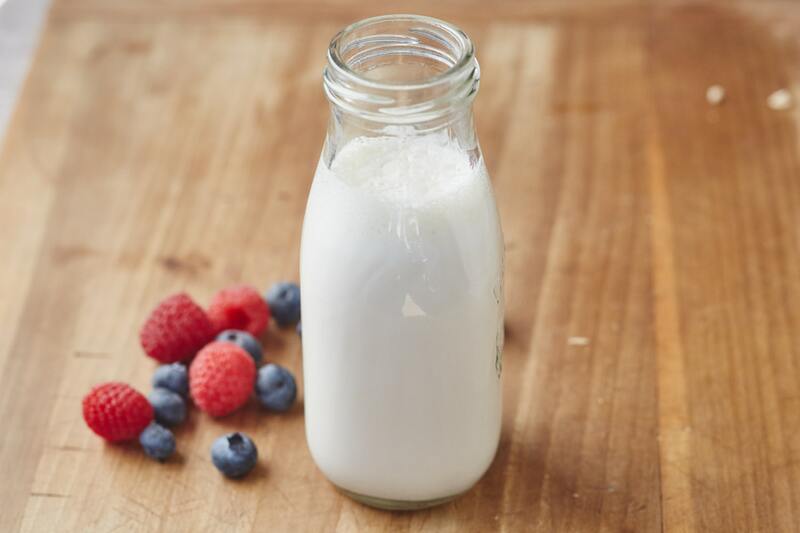 The amino acid tryptophan in milk improves the sleep quality and quantity. It also helps in the formation of the two neurotransmitters (serotonin and melatonin), that manages your sleeping and waking cycle. Therefore, day or night one can achieve good health by drinking milk regularly. But if done at the correct time then the achievement is amazing.